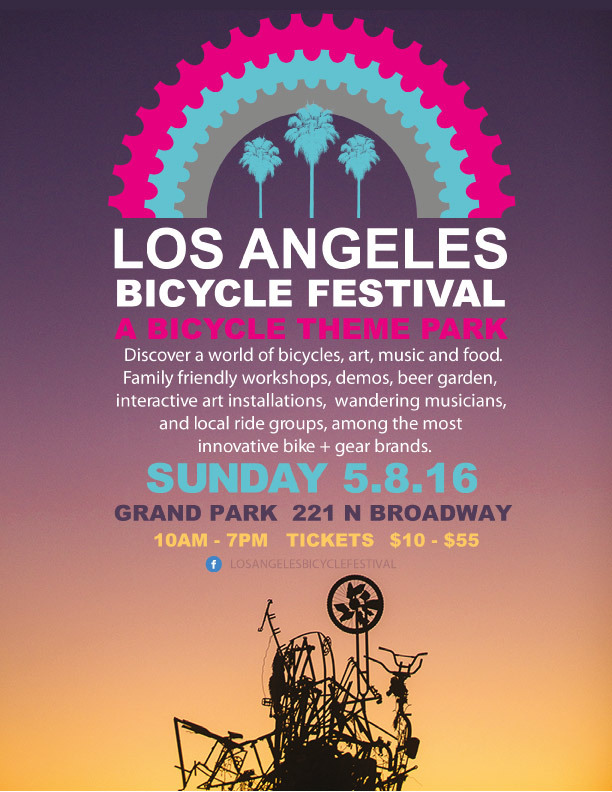 Discover a world of bicycles, art, music and food. Family friendly workshops, pro-demos, beer garden, interactive art installations, wandering musicians and local ride groups among the most innovative bike and gear brands. It’s a bike party for everyone in Los Angeles! From the bike curious to dedicated roadies, mountain bikers, kids and commuters. Celebrate Mother’s Day at Grand Park and kick off Bike Month 2016!